Select different word families by clicking on the word families on the ruler at the bottom of the screen. Zoophonia will tell the child which word family she or he has chosen, and will Signal and sound it. Encourage the child to watch Zoophonia carefully and try to Signal and sound with her. Inny Inchworm and Zoophonia will help the child “make it say…” (spell) the word that she or he sees in pictures. The child will grab, drag and drop the correct letter that completes the word that matches the picture. For example, you will find a letter that makes the “ad” word say “lad” (and see a picture of the lad). Note that when the child chooses the letter, the box will go pink. Drag it to the right box and the box will turn blue. The child has just formed a word! If it is not a match, the letter will not stick or turn colors. If the child is correct, Zoophonia will say, “You’ve got it!” or “Well done!” or “Nicely, nicely” and then will Signal and sound the word. The child should Signal and sound with her by looking at the letters in the word. Remind children that they cannot try another letter if Zoophonia is talking or Signaling. An added bonus: When the child has finished all 6 words, she or he can click on the picture, see fun animation and then, Zoophonia will Signal and sound the words again! Wow! 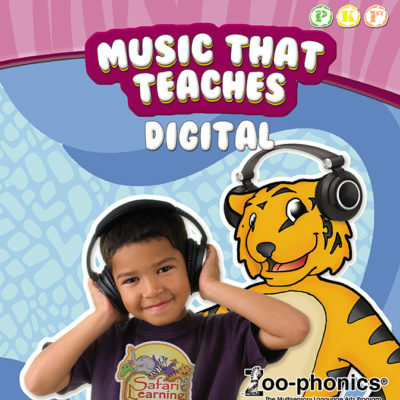 If the child wants to see and hear Zoophonia Signal and sing our “Come Meet Us at the Zoo” song, tell him or her to click on the Musical Note Sign. If she or he wants to exit and play a different game, click on the Zoo Sign. After the child has successfully finished all of the CVC words on the screen and is ready for a challenge, she or he can attempt the blends. She or he is to click on the Blender to practice the Bonus Blend Words. The blends contain the same word families used in the previous CVC game. The “Bonus Blends” are more difficult because there are more letters in the words and because children have to pronounce the blend sounds quickly. This game will teach children how to recognize a blend and how to Signal and sound them in words. When you see a blend, you say each letter’s sound quickly (and Signal at the same time for memory enhancement). You blend them! Here’s an example: bl = blot. Because these words are more advanced they should be considered as “extra credit” words. The child may need the teacher’s or parent’s help at first.